Mike Allen was born in London. He earned a BA from the Slade School of Fine Art in 2010, and graduated from the University of East Anglia with an MFA in Prose Fiction in 2017. He is working on a collection of linked short stories that investigate themes of marginality, miscommunication and loneliness. Mike is mentored by Daniel Hahn. 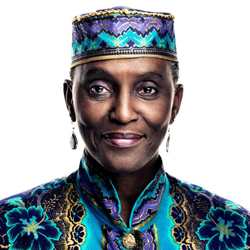 Anni Domingo has always been avid reader and secret writer. She first trained, however, as an actress and drama teacher. Later she returned to her writing and went back to university, graduating from Anglia Ruskin University in 2012 with an MA (Distinction) in Creative Writing. Anni is very interested in hidden African histories and explores this through a feminist prism. 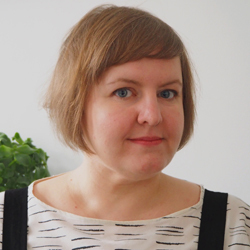 She has lived in Africa, Europe, USA and Australia and her experiences of extensive travelling, and of constantly having to fit into new surroundings, has influenced her writing. As a black woman with adopted mixed-race children living in England, one of the many issues she deals with and writes about is identity. She questions what makes us who we are. Does moving from one environment to another change our identity, our idea of self? Her poems and short stories have been published in various anthologies. Her poem ‘The Cutting’, is published by Samuel French with the playtext of Bullet Hole, 2018. An earlier version of her novel Breaking the Maafa Chain was shortlisted for the Lucy Cavendish First Novel competition in 2014. She has since won the Myriad Editions First Draft Competition with an extract in the anthology New Daughters of Africa, out in March 2019. She has won a four-week writing retreat at Hedgebrook in Seattle, Washington, April 2019. Anni is mentored by Yvvette Edwards. Sam Hacking is a landscape painter and writer living and working between Norwich and London. After receiving a BA in Fine Art from The Slade School of Fine Art in London she went on to complete the writing course ‘How to write short stories that resonate’, in 2016 at Goldsmiths College in London. Since then she’s been published in several contemporary literary magazines – Potluck, Funhouse, Thin Noon and Cold Lips. Sam is mentored by Hayley Webster. Daniel Hickey is from county Mayo in the west of Ireland. His poetry has been published in the Mayo Anthology of Poetry and his short fiction in the online journals Apocrypha and Abstractions and Eastlit. He studied film and later worked in Dublin as a journalist before moving to China in 2010. He lived there for five years, teaching English at Sichuan University in Chengdu, while moonlighting as editor for the local English language literary journal, Mala, and writing a weekly column for the English section of Chengdu Daily. It was during this time he started working on his novel, Inish K, set on an island off the west coast of Ireland. 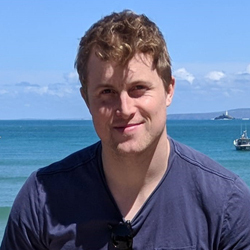 In the summer of 2018 he moved with his wife and son to Norwich, where he works as a journalist for the local newspaper the Eastern Daily Press/Norwich Evening News. Daniel is mentored by Anjali Joseph. Rob Perry was born and raised in Norfolk. 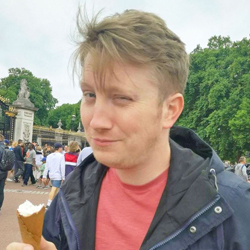 He lives in Norwich with his visually incongruous dogs (a whippet that’s 70% legs and a miniature dachshund that’s 70% appetite) and works as a copywriter, squeezing as much fiction into his days off as he can. Since graduating the Creative Writing BA at UEA in 2011 he’s had several stories published in competition anthologies and magazines. He’s been shortlisted for the Bridport Prize and the Bristol Short Story Prize, won the Nottingham Short Story Prize, was first runner up in The Winston Fletcher Memorial Prize and the Moth International Short Story Prize and longlisted for the Fish International Short Story Prize. George Saunders is his absolute hero. Dog will be his first novel. Rob is mentored by Ross Raisin. Jon Ransom grew up in Norfolk. Queer and working-class, he is currently writing his debut novel, The Whale Tattoo, selected for the 2018 Arts Council England TLC Free Read Scheme. His short fiction has appeared in SAND Journal, Foglifter Press, Five:2:One, and others. Jon is mentored by Anjali Joseph. Hannah Redding is 38, a qualified but non-practicing barrister, and the mother of four children. In her spare time (of which there is very little), she is an enthusiastic long distance triathlete and is currently training for her second Ironman race. What might sound glamorous is, in fact, very far from: she spends most of her weekends ingesting large quantities of lake water and attending to punctures by the side of the road. Any time that isn’t training – or thinking about training – is spent writing. Her best stories are the ones she makes up while combining the two; crossing muddy fields with her indulgent dog and plotting out loud as she goes. Hannah reads widely across genres, but particularly enjoys the work of Iain M Banks, Ian McEwan and Ruth Rendell as Barbara Vine. She is currently working on her first novel. Hannah is mentored by Yvvette Edwards. Kellee Rich is a writer fascinated with the mysterious, the unsettling and the suspenseful. She is currently exploring the intersection of the uncanny and women’s mental health narratives. Kellee lives in Norwich with her partner amid their jungle of houseplants. Before she dedicated herself to writing, Kellee was a visual artist, and kept her writing secret for many years. As she noticed words appearing in her work with greater frequency, she decided it was time to reveal her deep passion for writing and start making up stories out in the open. Kellee is mentored by Hayley Webster. 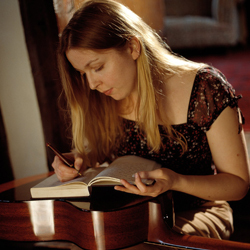 Emily Slade grew up in north Hertfordshire and studied English and Education at Cambridge University, before following a career as a singer-songwriter and guitarist. She took time as a stay-at-home mum to write a set of stories about ‘Bella Margery’, the rabbit who helps a child with Asperger Syndrome to navigate her way through a loud and colourful world. 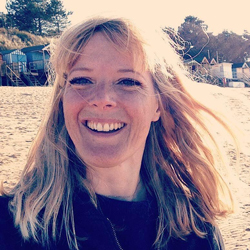 Emily submitted these stories and some of her songs in application to Cambridge University’s Creative Writing Master’s degree course and graduated in 2018. Emily’s short stories have since appeared in The Cambridge Pamphlet and The Cavendish Chronicle at Lucy Cavendish College, Cambridge. She was also shortlisted for Retreat West’s Flash Fiction competition. Emily has a love for folk song and story. In her own writing, she is particularly interested in how uncomplicated words and understated description can create powerful imagery and strong characters. Emily now lives in Cambourne, Cambridgeshire. She spends most days in the university library working on her first Young Adult novel, entitled Don’t Tell – the story of a teenager trying to reconcile her love and fear for her Dad, who has bipolar disorder. Emily is mentored by Ross Raisin. Tony Warner has been a freelance writer and journalist for over 30 years. During that time, he has written and published articles, short stories, poetry, catalogue introductions for museums and galleries and even a text book. He was also for a time assistant editor for Wayfarers poetry magazine. For 15 years he was the resident art critic for the Eastern Daily Press and the arts editor for Norfolk Journal and Suffolk Journal. 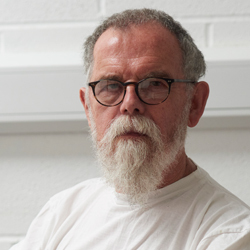 As well as writing on art and artists for national magazines he has curated art exhibitions, acted as the secretary for artists’ co-operatives and framed innumerable paintings. He describes himself as a ‘teller of stories’ rather than as a novelist, being particularly interested in the lives of the poor and disregarded in the spirit of Dickens or Alan Sillitoe. Currently he is working on a book inspired by Tolstoy’s trilogy Childhood, Boyhood, Youth, which transposes the basic idea into the setting of an English east coast fishing town. His latest publication is Boxwood: tales from a Norfolk churchyard, a fictional exploration of the lives of ordinary people in a rural village over the course of a thousand years. Tony is mentored by Daniel Hahn.